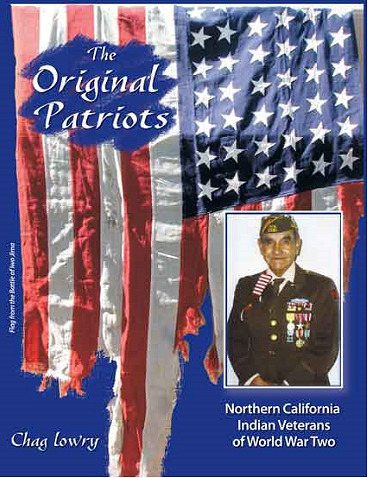 The Original Patriots, written by Yurok/Maidu/Pit River author Chag Lowry, is 270-pages with 200 color and black and white photographs, plus maps of key World War Two battles. It contains 60 interviews of Native veterans from the Mountain Maidu, Pit River, Yurok, Tolowa, Hupa, Karuk, Wiyot, Paiute, Washoe and Shoshone cultures represented. The book also includes a summary of Native American participation in World War One and a history of the Indian boarding school system that most of these veterans went through as young people. Additional books with the same order are $45 including shipping. Thank you for your support of our Northern California Native American veterans and their contributions during World War Two.